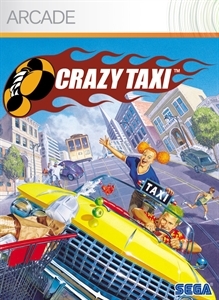 "Hey hey, come on over and have some fun with Crrrrrazy Taxi! Barrel through traffic packed streets, hurdle off parking garages, and Crazy Combo your way to Crazy Money in a wild frantic race to scare up the most fares. In Crazy Taxi, time is money, and only the Craziest Cabbies come out victorious."